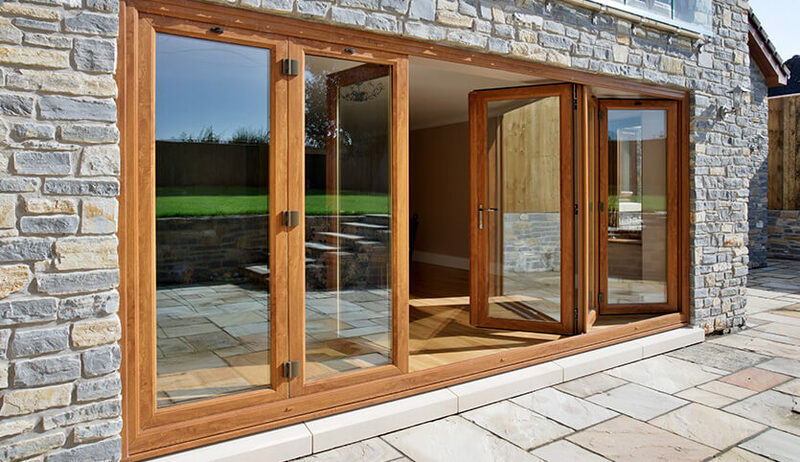 Bi-fold doors have become increasingly popular over the years thanks to their elegant style and ability to be opened completely out in a concertina fashion. Getting that holiday feel at home is perfect for those long summer days. 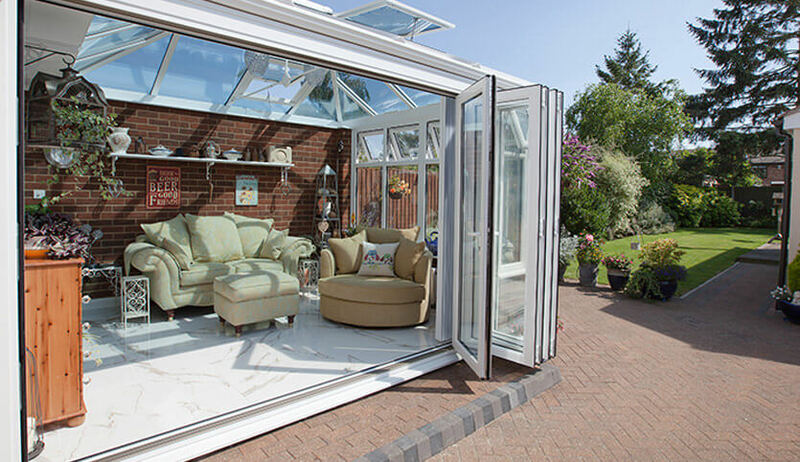 Whether you’re sitting out on the patio or in your home, bi-fold doors create the perfect blur between home and garden. uPVC bi-fold doors from the Olympus Collection allow you to have control over the look of your doors as well as providing superb insulation and security benefits. 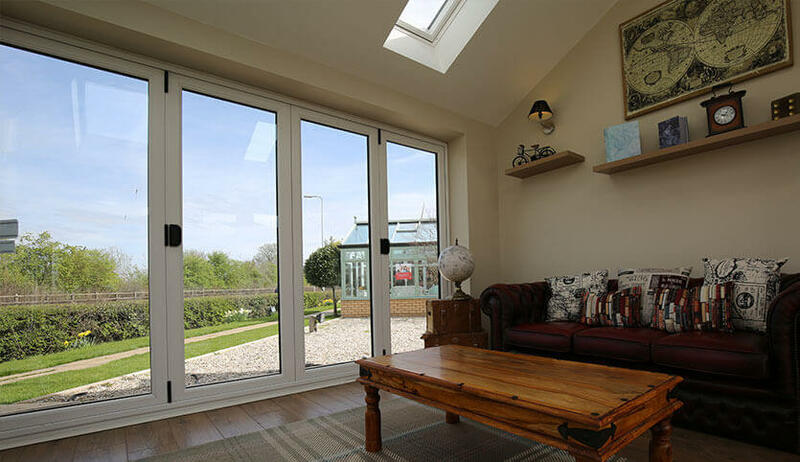 Why choose uPVC bi-fold doors? uPVC is a popular material due to its insulation benefits and its affordability. As well as saving money on your energy bills by reducing how much heat your home uses, they also provide a comfortable environment for the whole family to enjoy. 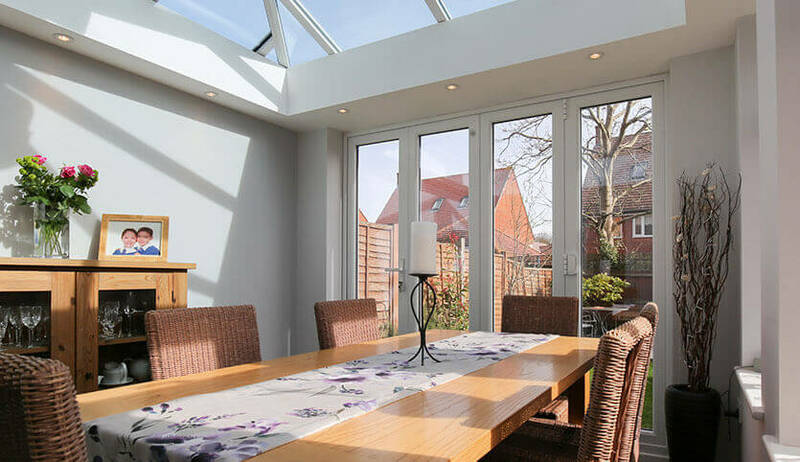 uPVC by its very nature is maintenance free, which means that once they’re installed they’ll be no further upkeep to keep them looking like they were just installed. Just a quick wipe over with a damp cloth from time to time is all they need. For those of us with busy lives and limited budgets, this is perfect. 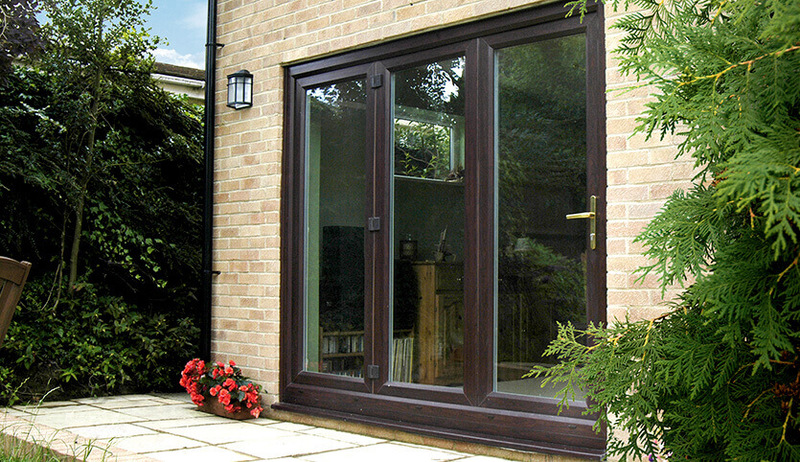 uPVC can look as good as timber, so you can now install it in most homes without missing out on style. Choose from a range of colours and finishes to find something that fits your style and taste perfectly including wood grain effects. 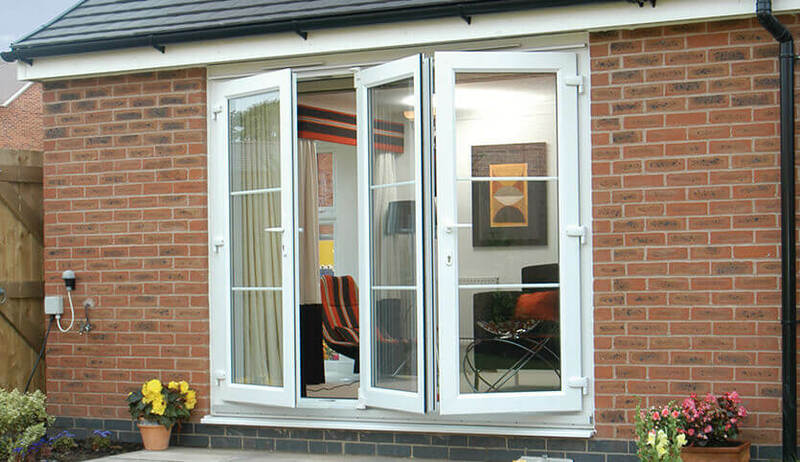 With their impressive look, uPVC bi-folds will transform the look of your home and garden as well as how you use them. Our doors come in a wide variety of colours to make your home the envy of your street. Choose from traditional white or how about a wood effect finish such as attractive Rosewood?